Weather/Conditions: Overcast and sunny. Strangely dark for an October afternoon. 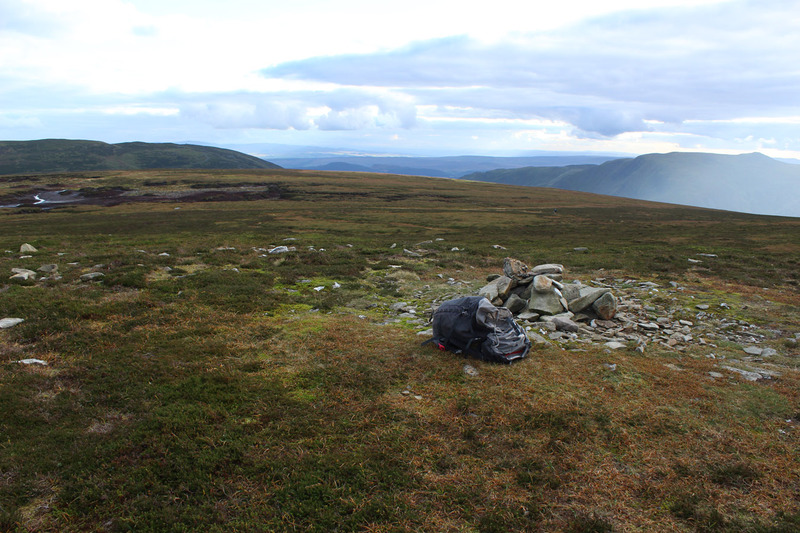 The previous day I'd been on Beinn Chaluim for Alasdair's final Munro. In the evening I'd played in Dundee with StillMarillion, and as usual with the Scottish dates I always went to find an eastern hill afterward. 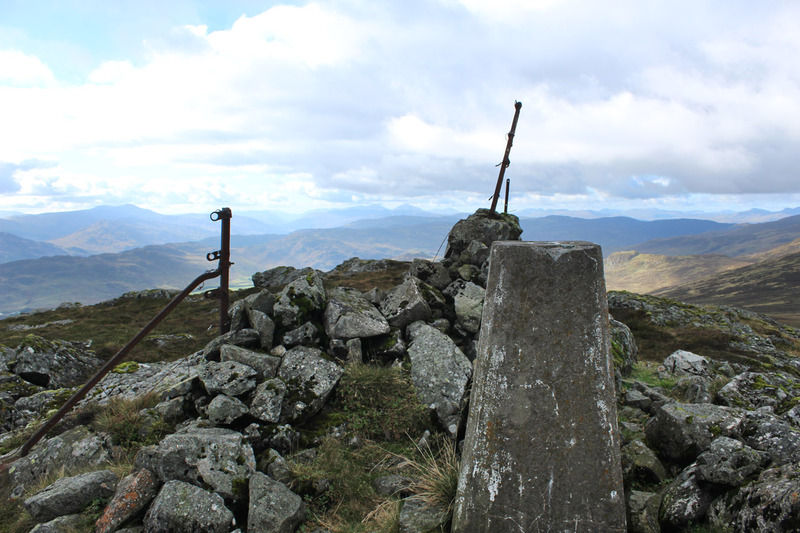 Beinn Chonzie was outstanding on my 3rd-time Munro list, and I headed for Crieff in the morning. Quiet roads leading out the back of Crieff eventually lead to Loch Turret up a concerningly pot-holed road. I parked at the top and began walking. The place had a strange mood all day. There were folk around, plenty of cars parked, but the glen had a vibe of desolation, and I couldn't put my finger on why. 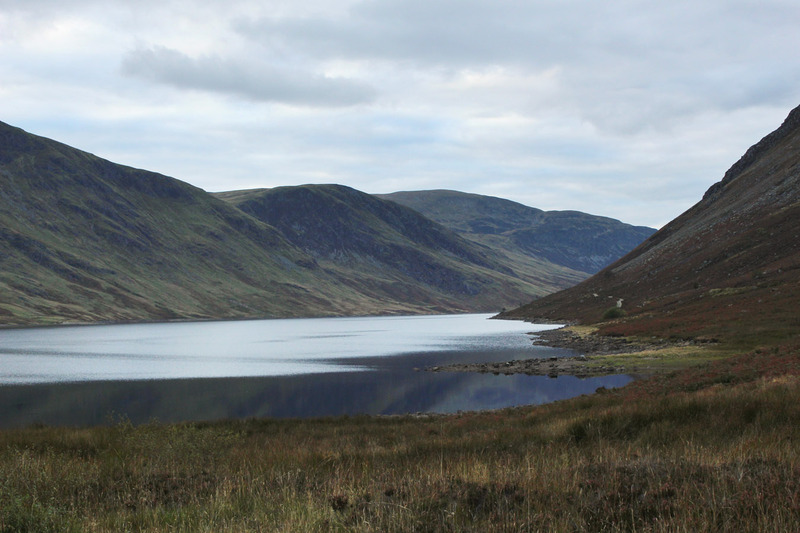 I crossed the dam and headed for Carn Chois, the first in this round of Loch Turret. 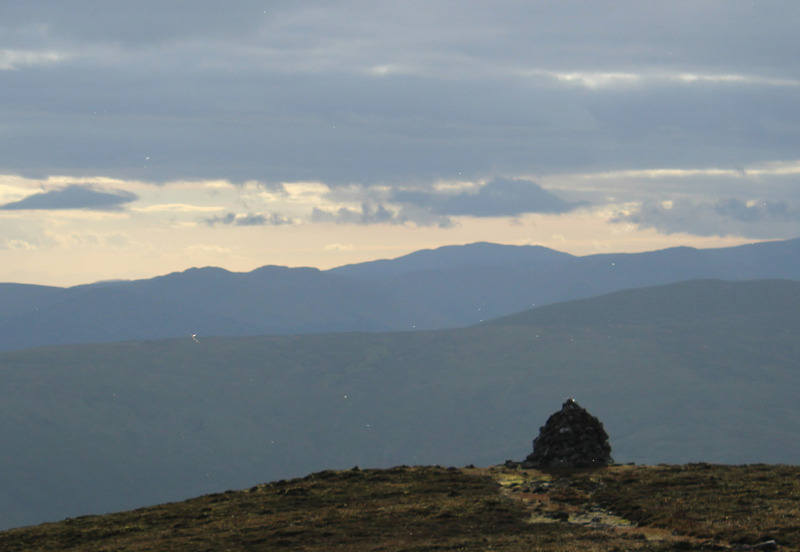 The desolate vibe vanished a bit once I got onto the summits, but it was certainly felt a little all day. The ground on these hills is rough, and often trackless. 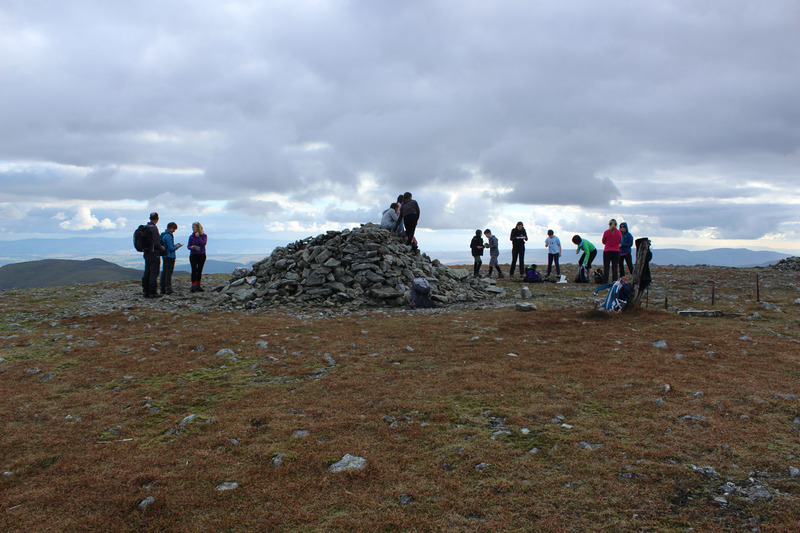 I headed north to Beinn Chonzie, which also seemed like a central rendezvous point for every group in the area. When I got up there it was busy with parties of kids and some smaller groups of walkers both passing and staying. I spent some time here and had a strange moment looking out north to the hills of the Highlands. Something in that still moment reached out and utterly grabbed me inside; a welling up in emotion, a sense of belonging, a gaze north that reaffirmed what it is I love about this place. It came out of nowhere and knocked me sideways essentially to the point of tears. How powerful is that, and where did it come from? I continued on my way over the rough tops of Bioran a' Mheannain and A' Chairidh - all heather and boulder ground leading to Auchnafree Hill. 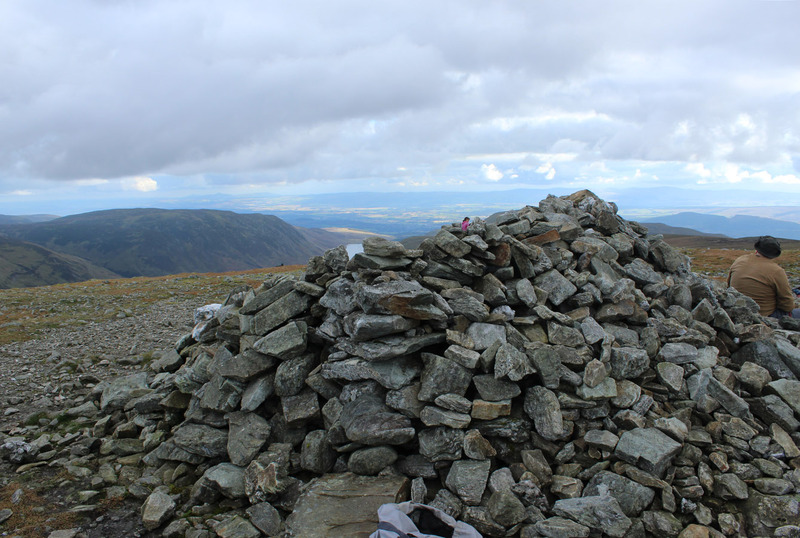 This latter summit is a slightly more lofty Corbett, separated out by incised glens with a huge flat summit. I noticed that about the architecture of this area; all boxy mountains with steep walls and flat tops. The air was still and clarity great. Insects were buzzing around, but the the world was silent otherwise. To the north and east I saw the eastern plateaux and their high outlines against the sky. To the south and west was a more lived-in world of the Central Belt. Beinn Chonzie and the surrounding area seems to straddle this somewhat uncomfortably. 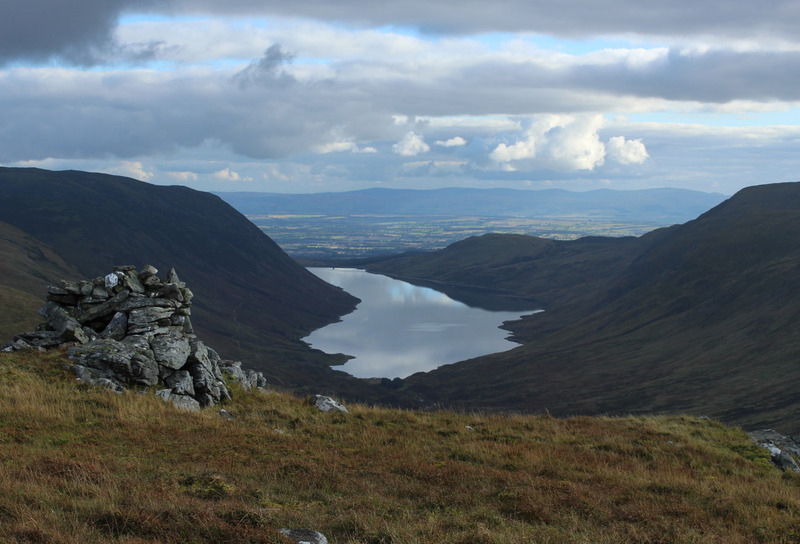 I felt this in 2013, too; back then I gazed north from Chonzie to see the Atholl plateau looking menacing - the green gentle world to my back. 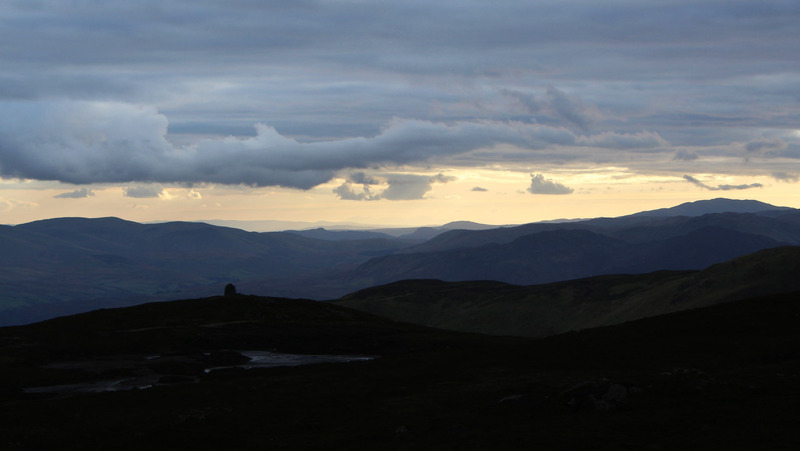 Continuing to Choinneachain Hill, the sky clouded over and became curiously dark for an October afternoon. The sense of oppression came back, I don't know why. But I continued back into Glen Turret and was back at the car before too long. I certainly felt I moved well all day, if a bit tired. From there I headed into Crieff and then home, for what felt like a curiously long drive back to Glasgow. But I couldn't keep myself away from the hills in the end, for I burnt more petrol the next day and headed off to Ben Cruachan!